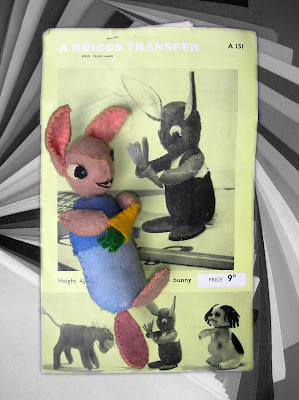 A four and a quarter inch felt bunny arrived at Prick Your Finger on Easter weekend. I loved him from the moment we met. He offered me his carrot, but never told me his name. I sat him on the pile of coloured felt. He looked nervous, as anyone would when trying to find their role in a new institution. On Thursday, our friend Rocky came for tea. 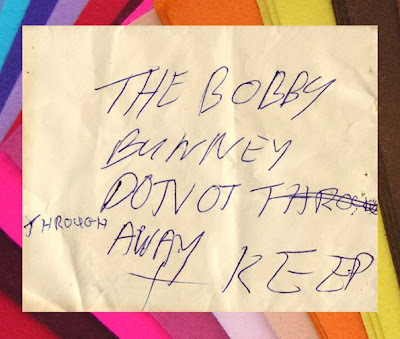 Rocky found the pattern for Bobby the miniature bunny. Bobby has come home! We now not only know his name, but we can offer you his pattern, to make Bobby lots of new friends and relations.